The big question is, is it a news species or a juvenile of a known dinosaur? 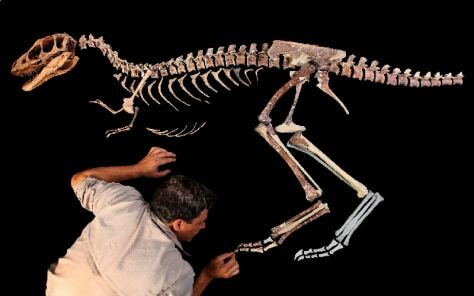 University of Chicago paleontologist Paul Sereno adds the toe claw to the skeleton of a tyrannosaur he called Raptorex. Other paleontologists do not agree these fossils belong to a new species.